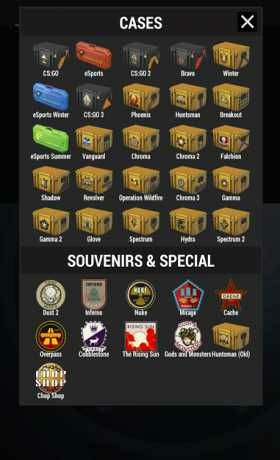 Updated with newest Spectrum, Glove and Spectrum 2 cases, Counter-Strike: Global Offensive Case Simulator 2 delivers great case opening in-game like experience. 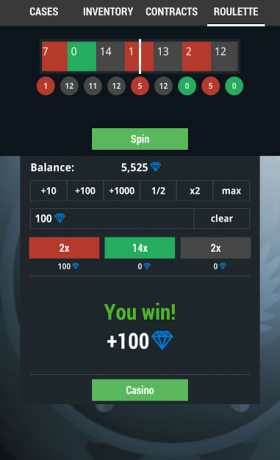 App consists of 8 tabs – Cases, Inventory, Contracts, Jackpot, Coinflip, Roulette, Shop and Collection. 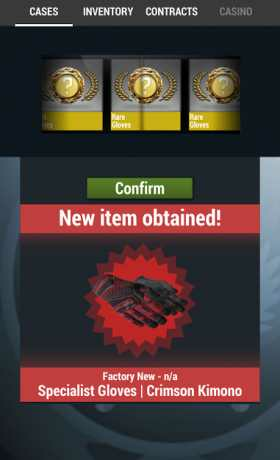 To switch tab simply tap on its name.